This is the second post in a series describing UpRight’s recommendations to the ABI Commission on Consumer Bankruptcy. Read the previous post. 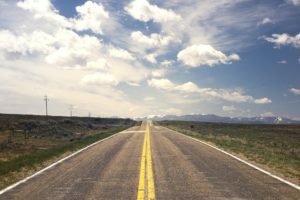 Traveling for brief appearances, such as a 341 meeting, can present significant burdens—particularly for those in remote locations who may have to travel a great distance to the bankruptcy court or other designated location. Courts recognize these burdens and many routinely offer accommodations for judges, trustees and attorneys involved in bankruptcy proceedings. For example, judges in the District of Arizona preside over proceedings around the state via video conferencing. Attorneys in some districts, including both the Eastern and Western Districts of Wisconsin permit attorneys to appear by telephone for most routine matters. Unfortunately, the person least likely to receive this type of accommodation is the on who needs it most: the consumer debtor, who may be subjected to costs he or she can ill afford, such as long-distance travel. Some courts, including the U.S. Bankruptcy Court for the District of Montana, have eased this burden on the debtor through the use of videoconferencing. However, even where video appearances are permitted, the debtor must typically travel to a local U.S. Trustee’s office to be sworn and have identification verified locally. A framework could be created with well-defined criteria for granting access to alternative procedures, such as the use of videoconferencing to appear at a 341 meeting. The technology required to implement this system already exists, and is affordable. All that is lacking is a national framework to implement the alternative accurately, efficiently, and consistently. It is critical that the bankruptcy system expand access to justice to people who, by virtue of location, disability, or other life circumstances, cannot avail themselves of the bankruptcy process without undue hardship. Nationwide provisions allowing for video appearance in those cases would be a relatively simple, affordable, and yet significant step toward that goal.